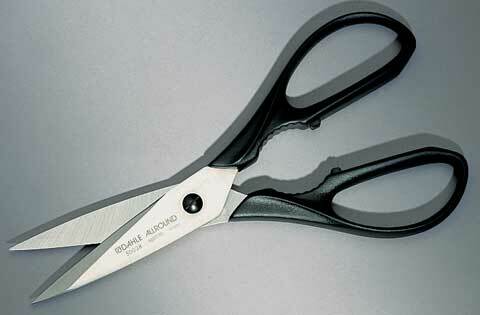 These high quality 8" shears are made for heavy-duty cutting. Unlike regular scissors, they will cut mat board, heavy-duty cardboard, canvas, etc. Made of Solingen steel, the blades are rust resistant. Molded plastic handles provide a comfortable grip for both left- and right-handed users. Includes an adjustable tension screw.